Located in one of the most beautiful street of the historic city centre and surrounded by typical restaurante and cafes , the wine House " L' Enoteca Biondi 1959 " is a must for all the foodies and culinary experts. As you walk in, you can immediately feel the competence and professionalism of the owners , as well as their true love for wine. In the wine house, it is possible to find an incredible selection of ca. 800 different wine labels : among them there are local productions and many others options, such as a very valued italian selection of sparkling wine . The winw house offers also an excellent selection of French wine , with a specific attention to champagne labels. Besides the main Maison , local producers and indipendent Vignerons cover also a very important place on the wine house's shelves. Moreover, you can find important Whisky , Rums and Grappas it is incredible how many rare and precious bottles and labels are here disclosed. But this is not the end to the wine house's offer. 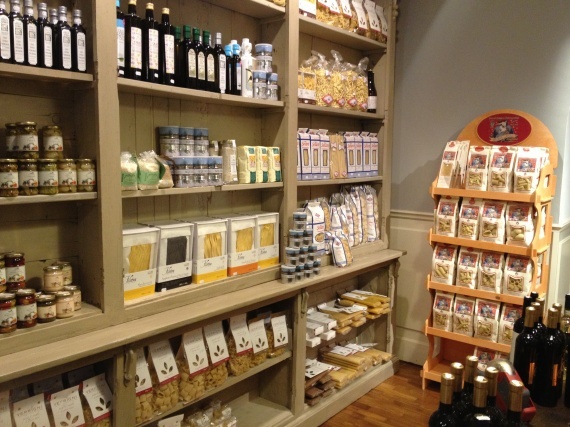 At Enoteca Biondi 1959 you can find also the most precious and typical food productions. Pasta , rice, sauces and gravy, olive oil , balsamic vinegars, spices , mustards and sweets are of an extremely high quality : no other place will show you this selection. Unique cured meats and peculiar cheese , together with Foie Gras and fresh caviar complete the winw house atmosphere. Last but not least, the truffle offer is something unique. depending on the season , it is possible to find an array of truffle species, fresh each week. The winw house organise also tasting session and classy events.